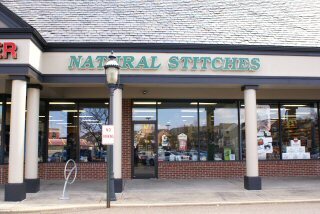 Last weekend I visited a yarn shop called Natural Stitches in Pittsburgh Pa. 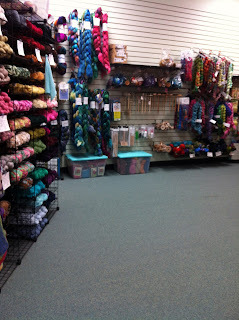 I wouldn't consider it a very big store, however it is absolutely full of beautiful yarn! 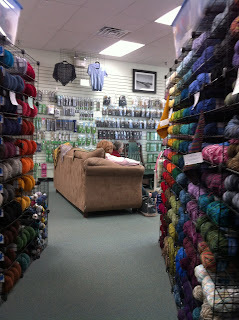 They also have a cozy little area to sit, relax and knit. 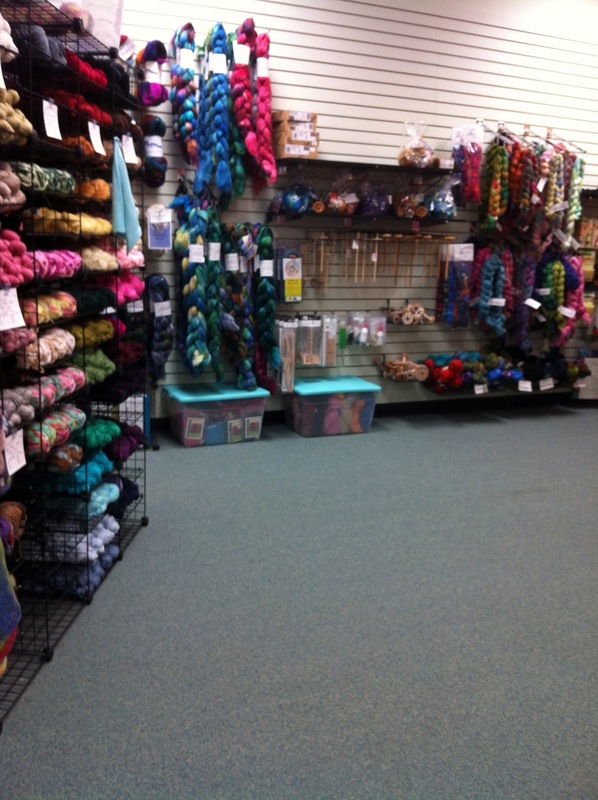 They have a reward program too - spend $250 and receive 10% your next purchase. 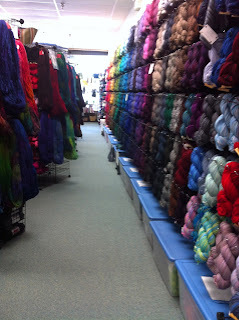 Almost one entire wall is devoted to Cascade 220 - they have every single color. 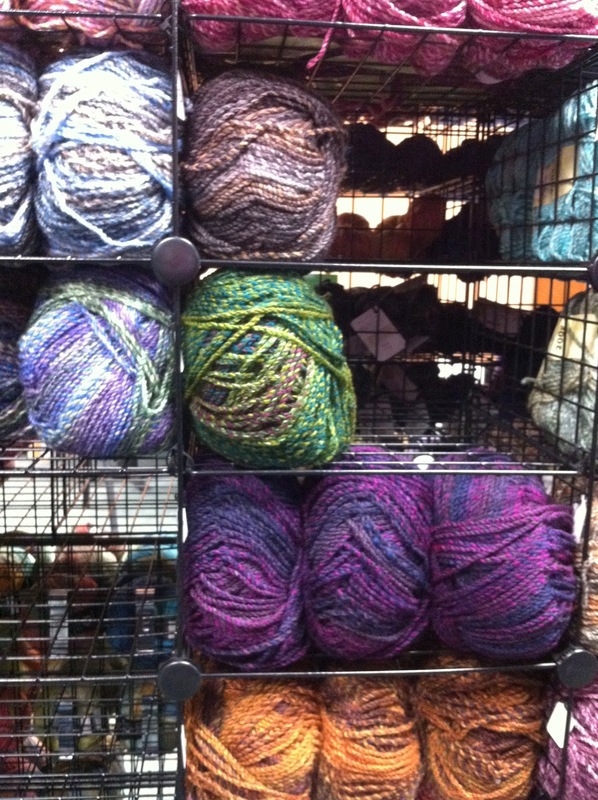 So if you are a fan of that yarn, this is the place to get it! If you are ever in the area, I highly recommend stopping in. 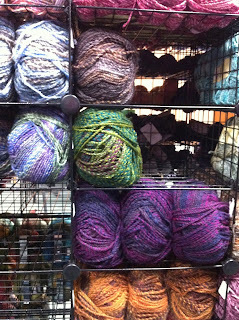 Everyone was very nice, and they were able to help me with yarn for a project I am working on now, and will be sharing with everyone soon. Below are just a few pictures. As you can see, it is a very neat, clean and well organized shop. I can't wait to go back!